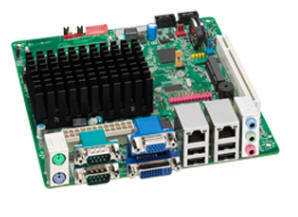 The D2500CC or Canoe Creek is one of the new Cedar Trail Atom motherboards from Intel. 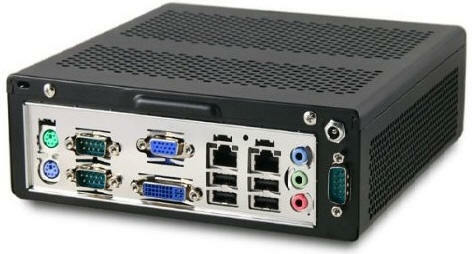 It features an embedded 1.86Ghz dual core Atom D2500 CPU, 7x USB 2.0 ports, 4x RS-232 ports, Dual 10/100/1000 Intel NIC's, Mini PCIe card slot (full or 1/2 height), VGA, DVI-I, and LVDS display options, independent dual monitor support, supports up to 4Gb of DDR3 RAM, and is totally fanless. The D2500CC will have a 3 year life cycle and has a 3 year warranty making it ideal for project applications. Please note: XP graphic drivers are not provided for this board. 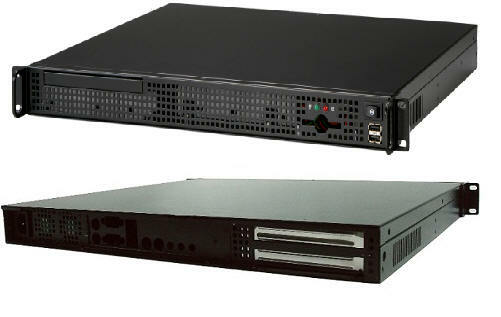 Exceptional Performance per Watt ��� the Intel Atom ATOM 1.86 GHz dual core Intel Atom D2500 fanless processor. Low-power Mini-ITX mainboard ideal for cost-conscious embedded applications that do not require an extended production life cycle. 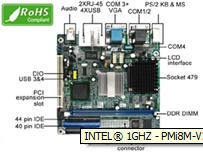 The D2500CCE or Canoe Creek is one of the new Cedar Trail Atom motherboards from Intel. It features an embedded 1.86Ghz dual core Atom D2500 CPU, 7x USB 2.0 ports, 4x RS-232 ports, Mini PCIe card slot (full or 1/2 height), VGA, DVI-I, and LVDS display options, independent dual monitor support, supports up to 4Gb of DDR3 RAM, and is totally fanless. The D2500CC will have a 3 year life cycle and has a 3 year warranty making it ideal for project applications. Copyright �� 2019 RaviRaj Technologies. All rights reserved.